This is part two of a three part series on the Holy Spirit by Gary Millar. To read the article in it’s original context please go to The Gospel Coalition Australia. 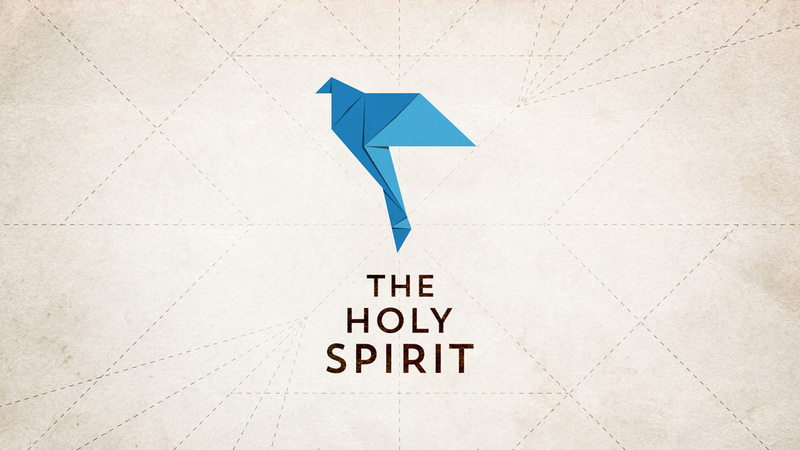 This is the second part of our three-week series on the Holy Spirit. In last week’s post we thought about what it means for the Spirit to be the third person of the Trinity. We also saw how the Bible presents him as the giver of life. In this post we’ll see how the Spirit enables us to speak about Jesus, live like Jesus, and how he lets us share in Jesus’ relationship to God the Father. As the message of the Bible unfolds, it becomes ever clearer that God is a talking God. It also becomes increasingly clear that the way in which God speaks is through the Spirit. This is seen for the first time in Num 11:17, 25, 26, 29 and repeatedly throughout the historical and prophetic books. Enabling prophecy is not the only thing the Spirit does in the Old Testament, but it is certainly his predominant function (so, for example, 1 Sam 10:6, 10; 11:6; 19:20 etc.). His role in the New Testament follows the same pattern. Jesus repeatedly connects the gift of the Spirit to the apostles with the ability to speak (so Matt 10:20; Luke 12:12; John 15:26; 16:13, and then Acts 1:16; 2:4; 4:8; 5:32 etc.). In the immediate context of the Gospels, it seems most likely that what Jesus is envisaging is the Spirit inspiring the apostles to recall and recount the events surrounding his ministry, death and resurrection clearly and accurately (cf. John 14:26; 15:26-27). Yet the staggering promise of Acts 1:8 makes it clear that the Spirit’s enabling is not limited to those charged with laying the foundations of the Christian faith. The Spirit also speaks through ordinary Christians. He equips us all to share the gospel with our generation. The writer to the Hebrews backs this up by showing us that the Holy Spirit continues to speak to us through the Word (see Heb 9:8, 14; 10:15). The same pattern follows in Revelation (see Rev 2:7, 11, 17, 29; 3:6, 13, 27). One often overlooked function that the Spirit performs in the New Testament is to ensure that the gospel is passed on. He superintends the process by which the message of Jesus’ life death and resurrection is recorded. He also enables ordinary followers of Jesus to share the gospel with the world. The Spirit is the Spirit of Mission – the Spirit who enables proclamation. This should encourage us as we find it increasingly difficult to speak openly and confidently about Jesus in an increasingly indifferent and secular Australia. The Spirit who lives in us is the Spirit who enables us to speak in fulfillment of Acts 1:8. What a great motivation! The Spirit is often referred to in the New Testament as the Spirit of Holiness (see e.g. Rom 1:4). This is more than a declaration that the Spirit himself is holy (i.e. as God, displays all the characteristics of ‘God-ness’); it’s also a testimony to the way the Spirit works to produce holiness in us. And what does holiness look like in human beings like us? Simple: it means looking like Jesus Christ. This principle lies at the heart of Paul’s argument in, for example, Romans 8:1-11; 2 Corinthians 3:4-18 and Galatians 5:16-25. It is quite striking that in the past 40 years there has been endless discussion about the way in which the Spirit equips us for ministry (or gives us “gifts” – although see below), but hardly any interest in the way he works to make us holy. This is ironic, because it is much closer to the Spirit’s primary role. He wants to produce in us the fruit of righteousness and recreate us in the likeness of Jesus, (e.g. 1 Peter 4:6; Titus 3:5). His transforming work is a foretaste, or “down payment,” of the resurrection (2 Cor 1:22; 5:5). As he joins us to Christ, the Spirit continues to “sanctify” us morally; just as he has already “sanctified” (in the sense of “justified”) us before God positionally (e.g. Rom 15:16; 1 Cor 6:11; 2 Thess 2:13; cf Titus 3:5 1 Pet 1:2). One of the strengths of Reformed Christianity in recent years (particularly, perhaps, in the US and the UK), has been a willingness to form ‘gospel partnerships’, where individual pastors and local churches have committed to work together for the sake of the gospel. However, it is not always recognised that the ultimate basis of such unity is not actually “the gospel,” but the Spirit himself. It’s the Spirit who gives us access to the Father and enables us to approach him in the same way as Jesus himself (see Eph 2:18; Gal 4:6; Jude 19). It’s the Spirit who opens our eyes to the truth of the gospel (Eph 1:17). It’s the Spirit who enables us to love as we are loved (Eph 3:16-17). It’s the Spirit who draws us together (Eph 4:3,18). He’s a Spirit of Unity because, through the gospel, he draws us together into the heart of the family of God. The apostle John makes this clearest, in the sense that it is in John’s Gospel that Jesus spells out the Spirit’s role in making us part of the family of God (see e.g. John 14:17). Yet the whole New Testament testifies to the way the Spirit draws us into relationship with God, and thereby into a relationship with one another. This has far-reaching implications for the way we view other Christians, both within the Reformed tradition and outside it – but exploring this in detail would take us far beyond the limits of this post! In this post we’ve seen how the Holy Spirit transforms our ways of speaking acting and relating. In our next we’ll see how he gives us the privilege of sharing in God’s glory and peace. The Spirit is also responsible for giving people skill (Exod 31:3; 35:31), wisdom (Deut 34:9) and supernatural strength (Judg 11:29; 13:25; 14:6, 19; 15:14). This is Gary Millar’s second article on Recovering the doctrine of the Holy Spirit. To read the article in it’s original context please go to The Gospel Coalition Australia post.